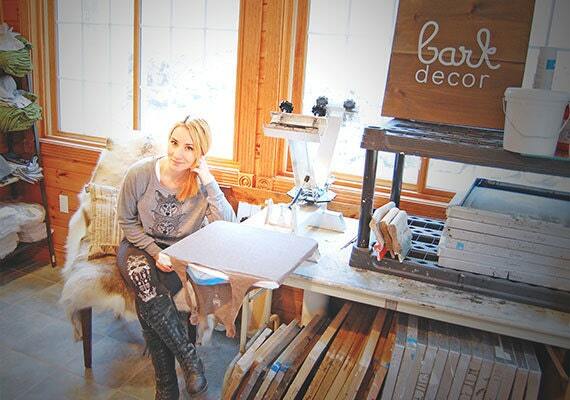 Before starting her Etsy business, Sara Barrett went for broke — literally. She “claimed her freedom” and quit her corporate design job without a back-up plan in sight. “The thought of leaving my 9-to-5 routine was so divine that my bills, rent and food (which all required a hefty income) didn’t even matter.” The result of her ambitious break for independence? 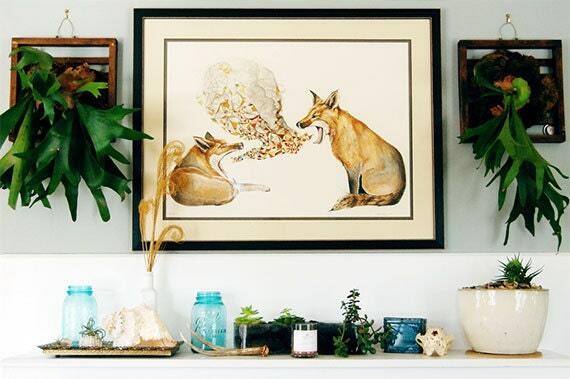 Bark Decor, an eco-friendly design business that Sara started in January 2009, offering everything from screen printed turbans to delicate handcrafted jewelry. Since then, Bark’s growth has been organic and impressive. “The first set of designs that I did was a graphic triptych of modern stylized birds, ‘Mod Birds.’ Those Mod Birds made their way onto Etsy, and then slowly into a few peoples homes. After a short while, they found their way onto the permanent set of an ABC television show.” Through it all, Sara had made it a point to respond to opportunities for growth as they come, expanding her business gradually in ways that feel natural to the roots of her creative company. 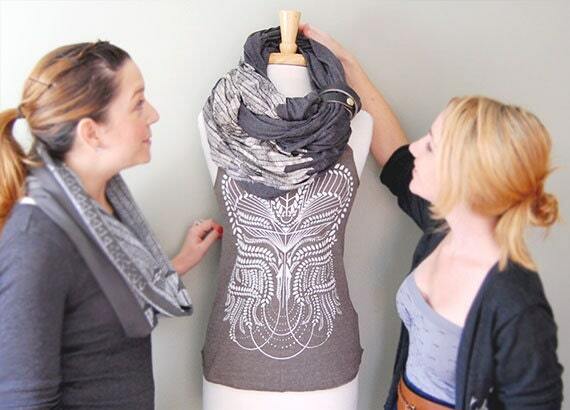 As Sara learned more about screen printing, she developed the eco-friendly methods she uses today. “I realized that the sun was a cheap alternative to buying an expensive UV exposure unit. I liked the challenge the process brought with it, depending on nature as a major tool of the experience.” She continues to improve her tools and techniques purposefully and incrementally. Read on to learn how Sara took charge of her creative dreams and forged a new path as an independent business. What inspired you to start Bark Decor after leaving the corporate design environment? With ramen in my belly and determination in my heart, I was committed to somehow prove that I could have a design job that I loved. Feeling a little lost and more than broke, I started designing to build up my portfolio for job applications. In between generic interviews I discovered Etsy. 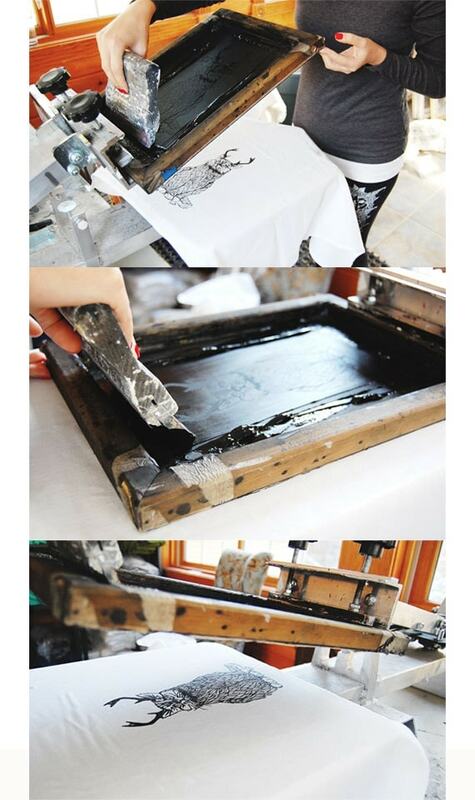 When I started selling, I was using a wooden cutting board as my platen for screen printing. I printed my shirts like that for eight months before I saved up enough to buy a press. Things stayed that way until 2011, when I can thankfully say Bark Decor went full time. 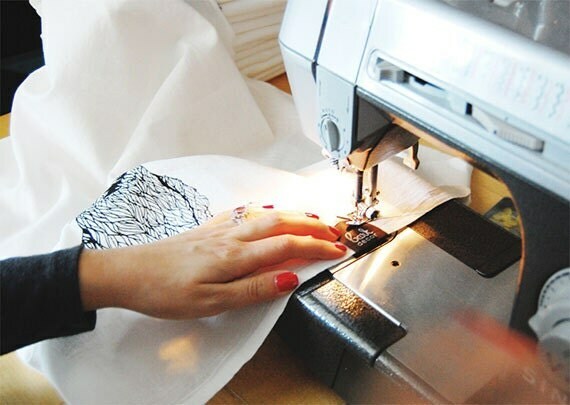 How have eco-friendly materials become a priority for your shop? I always printed on recycled papers and used local family printers for my larger print jobs at work, so when I started screen printing independently I knew I wanted to keep my footprint small. Especially since I work out of my home, human- and environmentally-friendly products are mandatory. I print using a special brand of water-based inks and try to recycle anything that I can: ink cartridges, broken squeegees, wood screens and the list goes on (often resulting in a debate with my husband around whether the item in question can actually be recycled). What has growth looked like for Bark Decor? I can thank the people of the Internet for Bark Decor's growth. I started wholesale about a year ago after numerous shops that found Bark Decor on Etsy asked about stocking us in their store. I stumbled through it a bit, trying to figure out pricing and the general logistics of it, but it definitely put Bark Decor on another level of legit-ness. People are recognizing the product and the brand more and more. 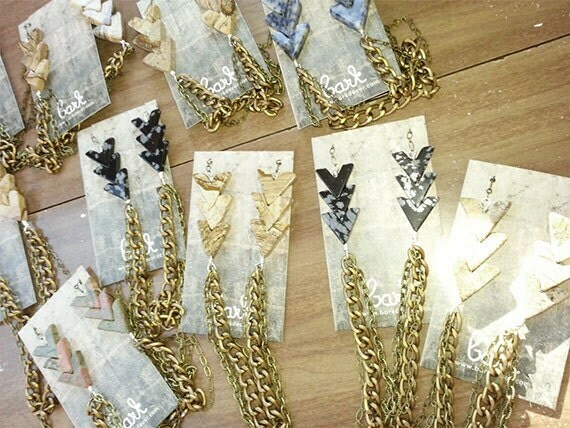 Bark Decor’s line of jewelry is an example of product line expansion gone right. How did you decide to bring additional people onto your team to help with production? Last holiday season my great friend Meghan helped with the rush of orders. There were tears, sleepless nights, sweatpants, microwave dinners, dry shampoo, power outages, a 5lb weight gain and even a fiasco with a skunk. It was great and it was wonderful having Meg around after the holidays, too. We got more done faster, were able to accommodate more orders and requests, and expanded even further into wholesale. Having another opinion (and someone to talk to other than the dog) really helped the business and my sanity. Sharing my operation has helped me to separate myself from it and see it as its own entity. The business took on a life of its own and is no longer directly attached to me. Now, the team takes care of it, feeds it, nurtures it and it works to make it grow stronger. What’s your advice for Etsy sellers who are looking to expand their operation by hiring employees for the first time? How much can I pay my employees? Will this employee be a W-2 or 1099 situation? What are the employee’s duties? Here Sara and her employee, Kelly style a new product for the shop. "We always put designs on the mannequins for discussion and critique." Bark Décor has robust shop policies. How did you decide what those would be? Can you share any tips for sellers looking to craft their own policies? What if it doesn’t fit or I don’t like it? What are the return and/or exchange policies? How will my item be packed and shipped? Are there any guarantees about shipping? What about international orders and customs fees? Can you share a favorite experience with an Etsy buyer? A young woman who had purchased our Wild Catalope leggings was standing on the bus one day when a little girl approached her. Apparently the little girl then started petting her leg, and talking to the printed cats as if they were real. Hearing that Bark Decor's designs are connecting people and making smiles is what it’s all about. How do you keep your shop eco-friendly? Share your green-business tips in the comments. Eliza works on Etsy's Marketplace Integrity team. When not at work, she enjoys cooking and baking, especially trying new recipes that require acquiring curious kitchen gadgets.